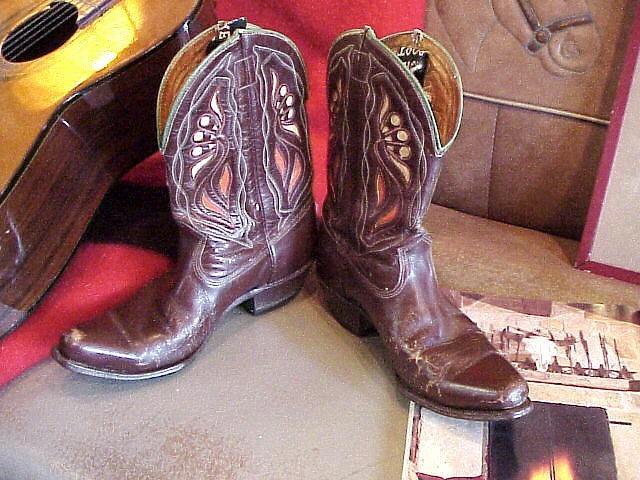 Here are a pair of vintage 1920-30s Cowboy Boots. Inlaid Collectibles. Can be worn that is how good they are made. Famed Acme label. Here are a pair of vintage 1920-30s Cowboy Boots. Inlaid Collectibles. Can be worn that is how good they are made. Famed Acme label. Please email cowboycabin@centurytel.net with questions or call 406 270-2842.